Comedy Show Down winner, Nqoba Ngcobo is a unique oddity in the South African Comedy scene, a comedian who does not rely on the tried and tested formula of racial stereo types as the basis of his material. Nqoba’s witty, and charismatic comedy is renowned for energetic delivery, brilliant observations, and poignant insights. The comedian also possesses the unique ability to inspire riotous laughter in any audience, irrespective of race and socioeconomic factors. He is one the hardest working comedians on the South African comedy circuit today, and has performed over 100 shows a year for the last two years. Nqoba is also known for his philanthropic work, and regularly donates his services to numerous charitable organizations. 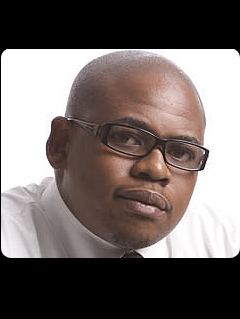 Nqoba Ngcobo has begun cementing himself a niche at the pinnacle of South African Comedy. Only time will tell where this industrious, ingenious, and inspirational comedian will end up.